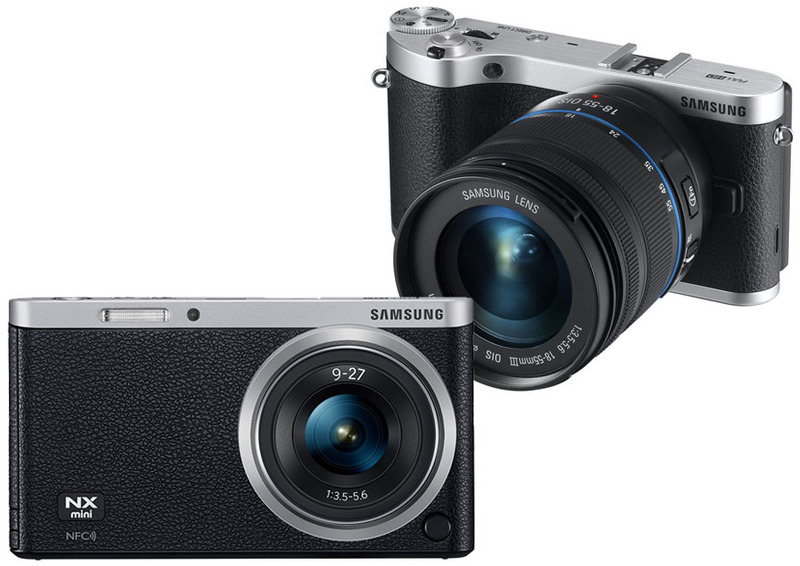 Confused in choosing between Samsung NX Mini and Samsung NX300? You have come to the right place! Below, we will put Samsung NX vs NX300 to see their differences and to determine which one does make the better value for the money.Samsung NX Mini is very attractive to those looking for a compact, portable camera. It is so much smaller and lighter than its sibling. It also has a built-in flash, which makes it very practical to use in various conditions. However, Samsung NX300 may attract the more dedicated photographers with the more powerful processor and features. Samsung NX Mini is very compact and lightweight. It measures only 110 mm x 62 mm x 23 mm, and it weighs approximately 196 grams. Such slimness and portable design make it ideal for people who love traveling and prefer something that is easy to bring around. You can even just pocket the camera as you walk around. On the other hand, Samsung NX300 is quite larger and heavier. The dimensions measure 122 mm x 64 mm x 41 mm, and the weight is about 331 grams. As you can see, this model is quite thicker and heavier. Don’t forget to account for the lens, too. If you pair it with a zoom lens, the total size and weight will be further increased. Both of these two models have tilting display screens. The one on Samsung NX Mini is smaller, which is 3.0 inches. But this is not a surprise, considering its small and compact nature. However, the resolution is also lower at 461k dots. Samsung NX300’s will be more pleasant to look at. It is larger, as it measures 3.3 inches. But it is not only larger. It also offers sharper, more detailed images with the resolution of 768k dots. However, Samsung NX300 would attract the more dedicated photographers who value more power and control. The AF is much more powerful, featuring 247 focus points with on-sensor phase detection for better tracking performance. It has focus peaking. The shutter lag is noticeably shorter, and the maximum ISO goes up to 25,600. This is another reason why Samsung NX Mini is very popular. It has an incredible battery life. It can take up to 650 shots before needing to recharge. Such lengthy battery life makes it ideal for traveling. Meanwhile, Samsung NX300 has a much shorter battery life, although it is not necessarily bad. It can last for up to 330 shots before having to recharge. If you prefer a simple portable camera that you can use to shoot your pics and videos wherever you go, Samsung NX Mini would be a great choice. The battery life is amazing. However, if you are a more dedicated photographer, you will benefit from Samsung NX300’s more powerful AF, higher max ISO, and better overall performance.